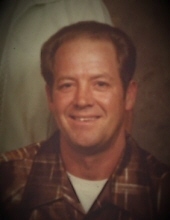 Charles Everett Cornwell, 80, of Catlettsburg, passed away Tuesday, March 19, 2019 at Community Hospice Care Center surrounded by his family. Mr. Cornwell was born March 19, 1939 in Lawrence County, KY to the late Gilbert “Gib” and Belva Bryan Cornwell. Charles retired in 1999 as an Ironworker and had worked for Ironworkers Local 75, Phoenix, AZ and Local 769, Ashland, KY. His hobbies include hunting, fishing and watching UK Basketball. Charles is survived by his loving wife of 59 years, Dixie Short Cornwell, daughters, Deborah Doolen, Terri Cornwell, and Charletta Thovson, her husband Patrick, all of Catlettsburg, grandchildren, Nikki Porter (Brandon), Chase Ratcliff, Lyndsey Thovson, Ronni Nicole Mullins (Trevor) all of Catlettsburg, Logen Thovson (Natali) of San Diego, CA, and six great grandchildren. Additional survivors include sister, Sue Rakes of Durbin, KY, sister in law Ellen Cornwell of Catlettsburg, and special family members, Craig and Donna Ward, and Punkin Cornwell. Preceding in death are parents, brothers, Bob Cornwell, Gary Lee Cornwell, Ed Cornwell, and brother in law Carl Rakes. Funeral Service for Mr. Cornwell will be at 1:00pm Monday, March 25, 2019 at Kilgore & Collier Funeral Home, 2702 Panola Street, Catlettsburg. Pastor Frank Hulett will officiate. Final resting place in Catlettsburg Cemetery. Visiting hours are 11:00am until Service time Monday at the Funeral Home. Condolences may be left at kilgorecollierfuneralhome.com. To send flowers or a remembrance gift to the family of Charles Everett Cornwell, please visit our Tribute Store. "Email Address" would like to share the life celebration of Charles Everett Cornwell. Click on the "link" to go to share a favorite memory or leave a condolence message for the family.